Smokeless tobacco has carried a social stigma for years. The typical user has been characterized as a ballplayer or cowboy, spitting quantities of tobacco juice. New research, published in the July 2009 issue of the American Journal of Preventive Medicine, provides fascinating information that redefines contemporary smokeless tobacco users. The new study by David Timberlake and Jimi Huh at the University of California-Irvine used 2003-2005 data from the government’s National Survey on Drug Use and Health. Timberlake and Huh identified four groups of men who use smokeless tobacco and the percentage of all users that they represent: 1) Older chew users (17%), 2) Young poly-tobacco users (29%), 3) Skilled laborers (28%), and 4) Educated professionals (27%). Here are some interesting characteristics of each group. Group 1: Older chew users. Only about one in five of these men went to college, while a third didn’t finish high school. Almost half are former smokers, confirming previous research showing that smokeless tobacco has been used as a cigarette substitute and smoking cessation method. In fact, 88% of former smokers quit over three years ago, so switching to smokeless was not only successful, it was sustainable. Group 2: Young poly-tobacco users. Seventy percent of this group are age 18-25 years, and almost all are unmarried. Six out of ten only use moist snuff, and most use smokeless tobacco only on some days. About half are cigarette smokers. Obviously, these poly-tobacco users are getting nicotine satisfaction from both forms of tobacco. If they knew that smokeless tobacco use is 98% safer than smoking, they would likely abandon cigarettes altogether. Group 3: Skilled laborers. Eighty-five percent of this group are age 26-49 years, and almost 70% are high school graduates. They are the most likely of all smokeless users to live outside cities. Most use only moist snuff, and they use it daily. Group 4: Educated Professionals. Nearly 90% attended college. The majority live in small or large cities, and most use only moist snuff. Also notable: 60% of professionals have never smoked, and 20% are former smokers. This study revealed that American smokeless tobacco users are considerably diverse with respect to education, occupation and other characteristics. Timberlake and Huh concluded that "…educated professionals defy many of the common stereotypes of male smokeless tobacco users. More demographic heterogeneity in smokeless tobacco users may translate to greater appeal among cigarette smokers considering smokeless tobacco as a substitute." Starting about 15 years ago, health professionals at the American Cancer Society, the Centers for Disease Control, the Mayo Clinic and other anti-tobacco organizations began to denigrate users by describing smokeless products as "spit tobacco." These derogatory characterizations were always unprofessional. But the new research shows that they are no longer accurate, because American smokeless tobacco users are discarding the "spitting" image. During the past month the U.S. Congress passed landmark legislation authorizing the federal Food and Drug Administration to regulate tobacco. In classic Washington terms the bill was portrayed as saving our children from tobacco's evil grasp, although a detailed review by the American Association of Public Health Physicians concluded that it would have little effect on teen smoking rates. Senators Sherrod Brown (D-OH) and Jeff Merkley (D-OR), accused RJ Reynolds of marketing "tobacco candy" to children. 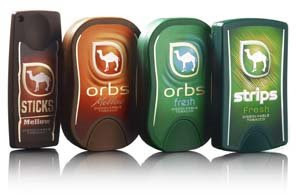 The target of this attack was a new dissolvable tobacco product called Camel Orbs, which is being test marketed by Reynolds in Columbus, Indianapolis and Portland, Oregon. Senator Brown said there is no doubt that these products "…are aimed squarely at children." His evidence: Orbs come in "mellow" and "fresh" flavors, and "are sold in containers that resemble cell phones. From a distance, the packaging and design of the individual Orbs are virtually indistinguishable from breath mints." It is almost beyond belief that two U.S. senators would engage in an unsubstantiated and specious attack on a manufacturer who is trying to convert its consumers (and those of other cigarette manufacturers) from a product that is very hazardous (cigarettes) to one that has almost no demonstrable health risks (smokeless tobacco). Instead of challenging the senators to validate their allegations, American media reported this story with little regard for the truth. It is clear that the senators had no substantive evidence that Reynolds is actually marketing these products to children. If they had proof, they could simply turn it over to a State Attorney General. Since the 1998 Master Settlement Agreement (MSA), tobacco manufacturers have been prohibited from directly or indirectly targeting children, and many states have an expedited process for policing and enforcing MSA provisions. Brown was wrong on another critically important point: He called the Orbs "dangerous." In fact, there is broad scientific consensus that smokeless tobacco products are 98% safer than smoking. Unlike cigarettes, smokeless tobacco does not cause lung cancer, heart disease or emphysema. The risk for mouth cancer with smokeless is far lower than it is with cigarettes. Statistically, smokeless users have about the same risk of dying from a tobacco-related illness as automobile users have of dying in a car wreck. Apparently, the senator doesn’t understand that tobacco smoke is the real killer. Eliminate the smoke, and you eliminate nearly all the risk. 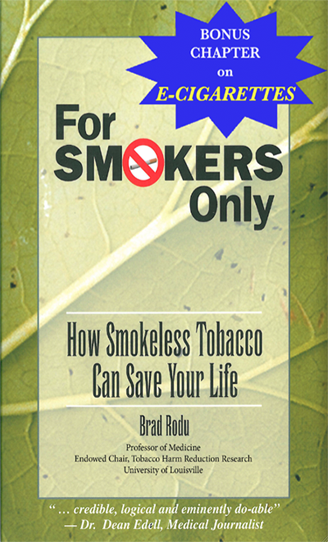 I refer interested readers to my website, www.smokersonly.org, for more information. Senators Brown and Merkley sponsored an amendment to the FDA bill that would require the new Tobacco Products Scientific Advisory Committee to immediately study the public health effects of dissolvable tobacco and report its findings to the FDA. The committee will find that the products are not marketed to children, that they satisfy adult smokers who are unwilling or unable to quit nicotine and tobacco altogether, and that they are far safer than continuing to smoke. According to the Public Health Physicians, "the most substantial problem with this severely flawed [FDA] bill is the fact that it ignores the plight of the 45 million Americans who are current adult cigarette smokers. All of the 8 million deaths due to cigarette smoking that will occur over the next 20 years in the United States... in this group." They are not children today; they are adults, 35 years and older. Preventing youth access to tobacco is important, but that effort should never be used as a smokescreen to condemn smoking parents and grandparents to premature death. If any other consumer product was as dangerous as cigarettes, society would demand safer alternatives, and it would be scandalous if consumers were denied them. But Senators Brown and Merkley want these products banned, which is counterproductive. Smokers in Ohio and Oregon and Indiana and every other state are literally dying for ways to step away from the fire. They deserve accurate information about safer smokeless substitutes.